← Bake to Savor those May Celebrations! Summer vacations are coming with teachers and students both glad AND hopeful. Teachers HOPE their students will USE summer time with their parents, grands, friends and sibs to keep learning. Students are GLAD to have creative learning opportunities. Baking is uniquely suited both. The Home Baking Association offers many resources to assist, but what about teaching children with special needs? Veteran Family & Consumer Sciences teacher Connie Nieman shares adaptations to build baking skills and confidence when there are special learning needs. Allow more time. No rushing. Let the child help choose the recipe. It’s more motivating! Do guide them to choose a simple recipe for a baked item you know they’ll enjoy eating. Provide the child with photos of recipes or samples of the baked food. 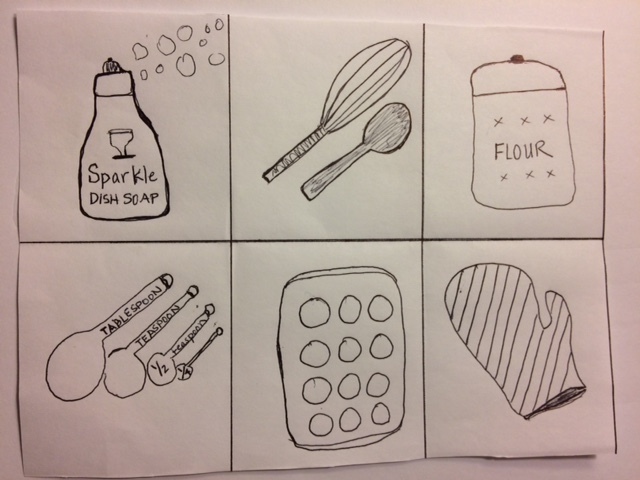 It helps them visualize and makes the baking tasks needed more exciting to “check off” to get to the goal! Use a recipe that has easily read, 1,2,3, directions. Depending on the cognitive and physical abilities of the child some children may do best with picture directions. Visual Recipes by Tabitha Orth, Kid Chefs Bake by Lisa Huff, Baking Class by Deanna F. Cook and Picture Cook by Katie Shelby are good options. Visual receipes is an on-line source where you can also prepare your own picture directions with the child. Pre-read the recipe aloud with all children. When there’s a special learning need, it’s essential! While reading, highlight and illustrate the terms that need to be identified. Work together to number or highlight each step of the recipe with colors to break the recipe into small steps. Too many directions at once will overwhelm. Visually review only the equipment and ingredients necessary for the recipe. Work together to gather each item needed and arrange in order for preparation. It is important to have the least distractors possible, so eliminate items that are not needed in the recipe. Buy equipment that will help make preparation easier. 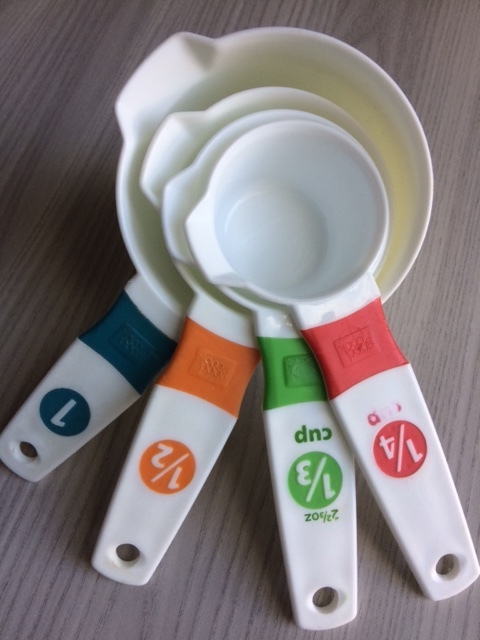 Specialized equipment for children with a special learning needs include plastic knives, non-slip cutting boards, wide handles on spoons and tools, plastic liquid measuring cups, and mixers that are not electric. Accommodations to help child gain independence may include measuring cups and spoons with a color system will help the child eventually memorize the measuring tool size needed to prepare baking recipes. Mark clearly the dials on the oven for the child to easily set to preheat. More clearly mark liquid ingredient cup lines to give children a visual clue for when to quit pouring. Eventually and ideally these will wear off and the student will cook without them. Demonstrate parts or the entire recipe, but then allow the child to do it too. Be sure to keep the listening time short. Divide the process. It is often difficult to focus for a long amount of time. Break up the recipe. Often students with special learning needs do not feel they succeed. Provide the child with reinforcement for accomplishments, but DO correct errors. Reward child when they correct the error. Please don’t make eating raw batter or licking mixing tools a reward. Raw flour and eggs could make them sick. Show their success with a Food Skills Check List! Expand the learning, field to kitchen with Celebrate Wheat! Extra wheat, flour and pizza lessons. 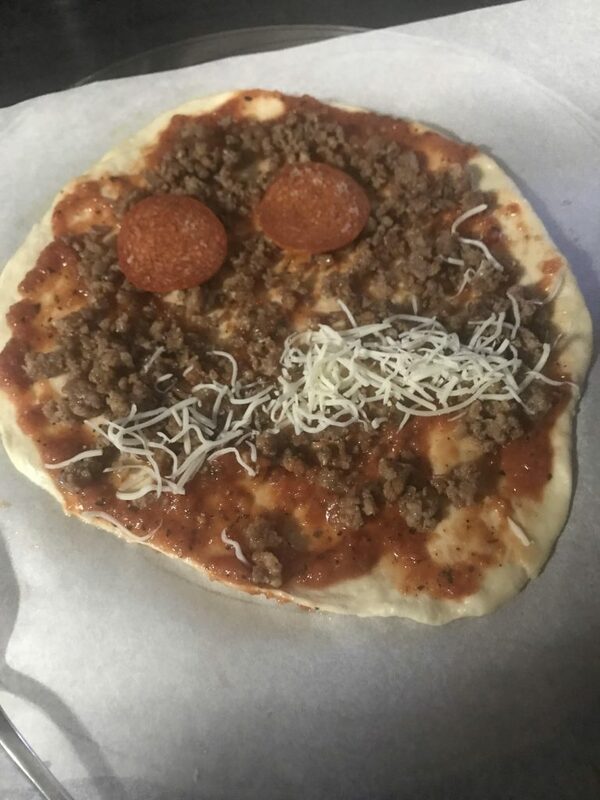 One of my favorite recipes is to prepare with my granddaughter is pizza in a bag. Here is the recipe for your convenience.